SILVIS, IL. – Second-guessers abounded when Jordan Spieth announced he would return to the John Deere Classic for his last tuneup tournament before next week’s British Open. A large segment of the world-wide golf community felt Spieth was short-changing himself by not heading to Europe a week ahead of his bid for a third straight major championship. After all, he would have more time to combat jet lag if he played in the Scottish Open instead of the event where he won his first PGA Tour title at age 19 two years ago. With titles in the Masters and U.S. Open already clinched, Spieth is halfway toward an unprecedented Grand Slam of the four biggest tournaments. (The fourth is the PGA Championship at Wisconsin’s Whistling Straits course next month). Those second-guessers seemed to have a case when Spieth had a mediocre showing in Wednesday’s pro-am at TPC Deere Run and followed with a par 71 in Thursday’s first round of the JDC. That left him tied for 101st place and in danger of missing the 36-hole cut. Spieth, however, silenced those second-guessers on Friday when he posted a 7-under-par 64 and climbed all the way into a tie for 16th place – four strokes behind 22-year old Justin Thomas, the leader going into Saturday’s third round after posted 12-under 130 for the first two rounds. Spieth’s Grand Slam preparations – as well as his chances of winning the JDC again — don’t look so questionable now. Next week’s British is at storied St. Andrews, in Scotland – a layout much different than TPC Deere Run. Spieth wasn’t feeling so confident after standing even par for the tournament four holes into Friday’s second round. A two-foot birdie putt put him in red numbers and a 241-yard second shot to a par-5 that set up an eagle was the highlight of his round. He played his last 14 holes in 7-under and, with seven holes left in that stretch, he started to relax. “Then the cut line was out of my head, and it was `How can we move up the board a little more?’’’ he said. The shot that set up his eagle at the No. 2 hole (Spieth played the back nine first) may have far-reaching implications. He used a driving iron, while in past years he would have used a hybrid. Spieth attributed his slow start here to rust. Wednesday’s pro-am was his first 18-hole round in nearly three weeks. During that stretch he went a week without touching a club, but now the vacation is very much over. 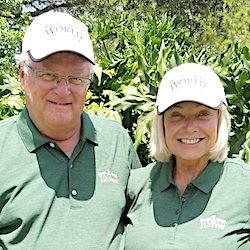 His bid for the third leg of golf’s Grand Slam will be the talk of the entire sports world after he boards the flight to Europe from the Quad Cities Airport after Sunday’s final round of the JDC. There are some similarities between the front-running Thomas, who also led after Day 1, and Spieth. Both have had sponsor exemptions to get into the JDC (Spieth in 2012 and Thomas in 2013 — and they were teammates on a U.S. junior team that competed in France in their high school years. Then Spieth went, briefly, to Texas and Thomas to Alabama. “I’d say he got the best of me in amateur golf. I got the best of him in college golf. 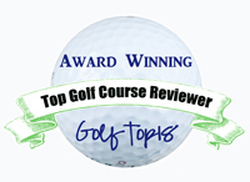 And so far, he’s got me beat pretty handily in professional golf,’’ said Thomas. Spieth already has accumulated $16 million in PGA Tour winnings in less than three seasons, with nearly $7.9 million coming in the first six months of 2015. Thomas has $1.6 million in seven tournaments spread of the last two years.